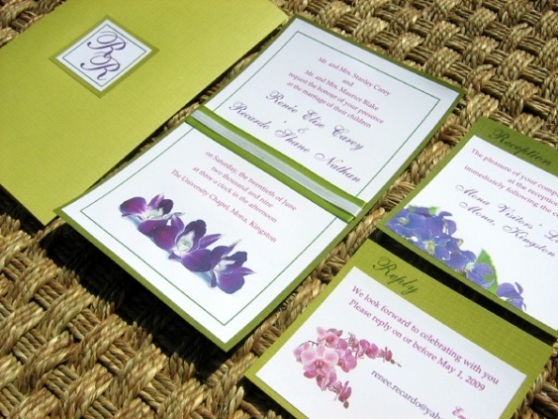 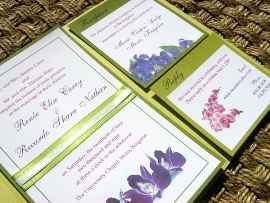 This invitation idea was inspired by orchids and other exotic flowers and is perfect for a couple who wants to create a simple yet elegant invite! 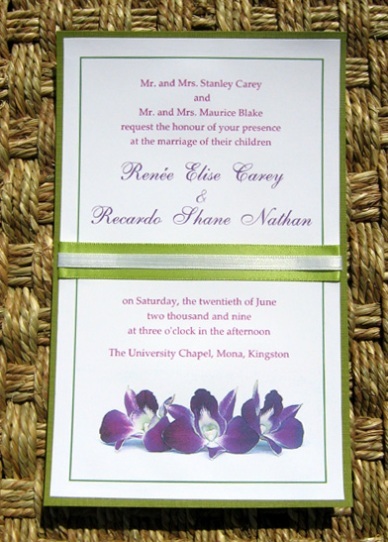 We combined a white background, images of purple and pink orchids, a delicate ribbon and a monogram design of the couple's first name initials. 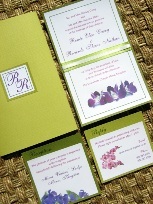 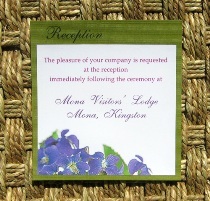 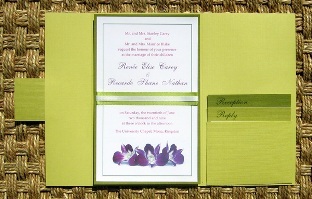 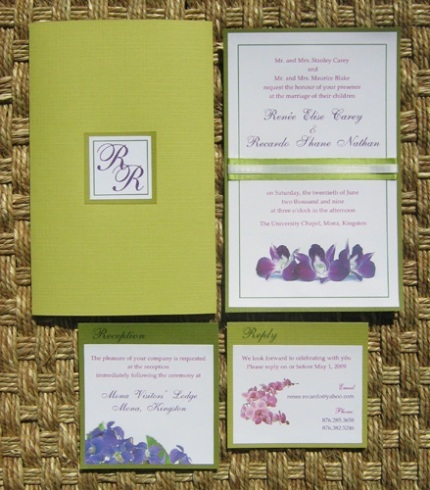 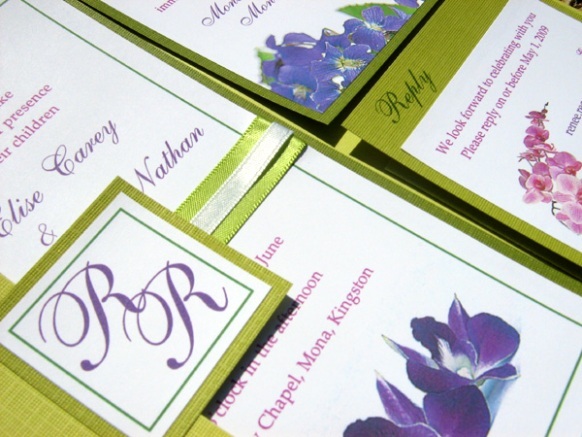 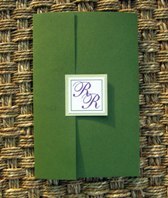 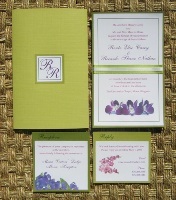 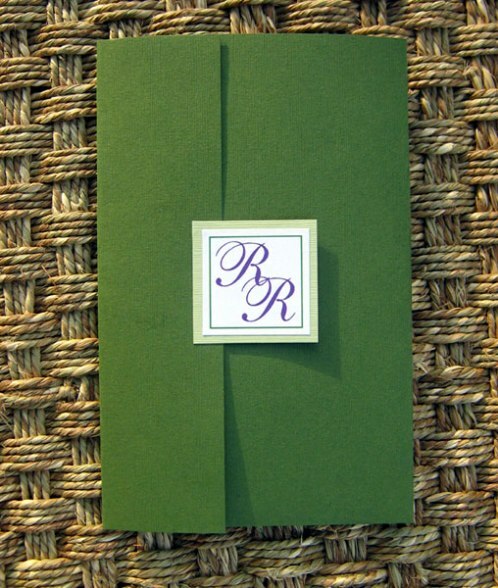 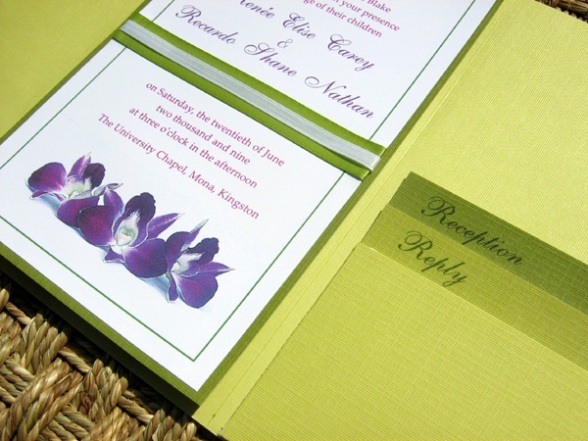 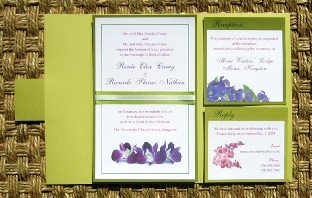 This card features a beautiful folded design with reply and reception cards included in an inside pocket.